Rated amongst the best golf courses in Mexico, Estrella del Mar boasts a magnificent 18-hole championship golf course. Designed by the legendary Robert Trent Jones Jr. and built in 1996, the Estrella del Mar Golf Course is unsurpassed in terms of play and breathtaking scenery. With only two other golf courses in Mazatlan, there is simply no comparable course in the Mazatlan area. 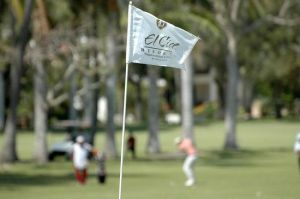 The course layout is parallel to the 3.5 miles of pristine beach in the gated community of Estrella del Mar. Six of the holes and fairways are situated right off the beach where spectacular views abound. 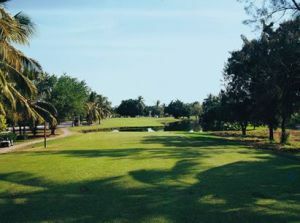 The tropical landscaping is all you would imagine in your dream golf course, with clusters of palms lining the fairways, strategically placed bunkers, the sound of waves lapping on the sand and impeccably manicured greens. You?ll find our course earning a five star rating by just about every golfer who plays the course. The challenge and beauty of the course combined with its layout are often sited as the reasons why Estrella del Mar is considered one of the top golf courses in the country of Mexico.Rated amongst the best golf courses in Mexico, Estrella del Mar boasts a magnificent 18-hole championship golf course. Designed by the legendary Robert Trent Jones Jr. and built in 1996, the Estrella del Mar Golf Course is unsurpassed in terms of play and breathtaking scenery. With only two other golf courses in Mazatlan, there is simply no comparable course in the Mazatlan area. Estrella del Mar is located approximately 10 minutes from the airport in Mazatlan, Mexico, making it one of the most easily accessible resorts to reach for vacation visitors. The resort is ideally situated in a private and gated community along 3.5 miles of beach on the Pacific Ocean. The 800-acre estate is tropically landscaped and impeccably manicured. Estrella del Mar is not yet in our pool of Golf Courses for orders.